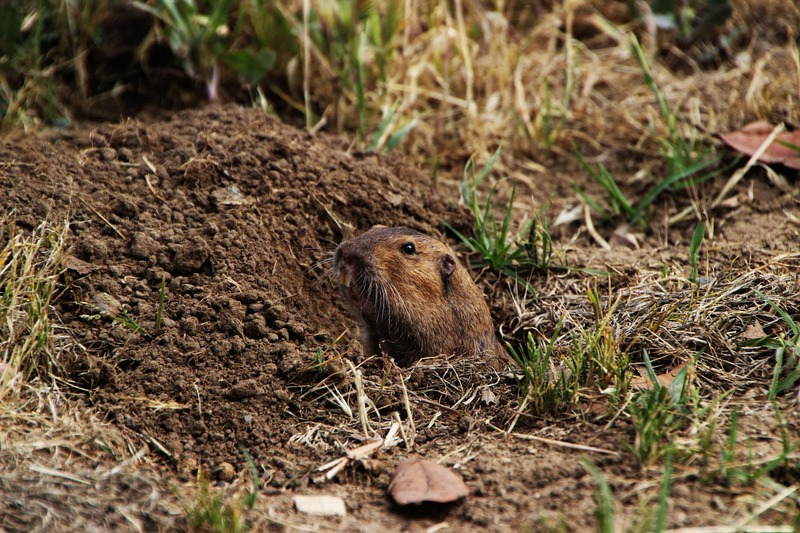 Pocket gophers, often called gophers, are burrowing rodents that get their name from the fur-lined, external cheek pouches, or pockets, they use for carrying food and materials. 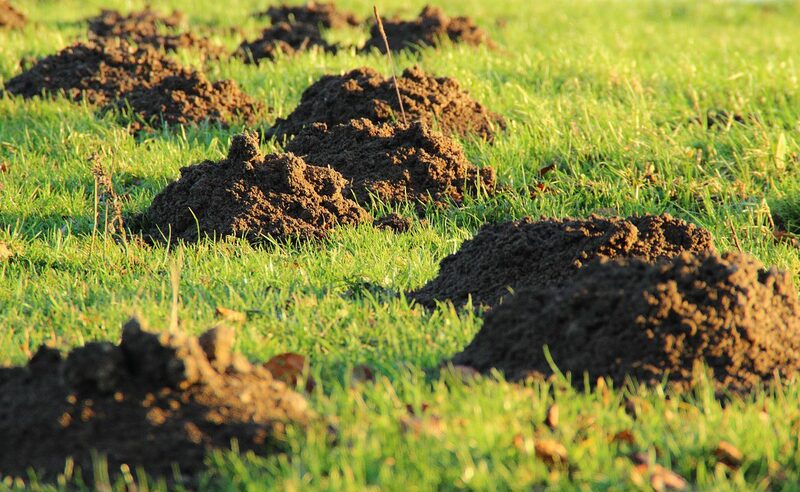 Mounds of fresh soil are the best sign of a gopher’s presence. Typically mounds are crescent or horseshoe shaped when viewed from above. Gophers don’t hibernate and are active year round. The mole is a small, insect-eating mammal. 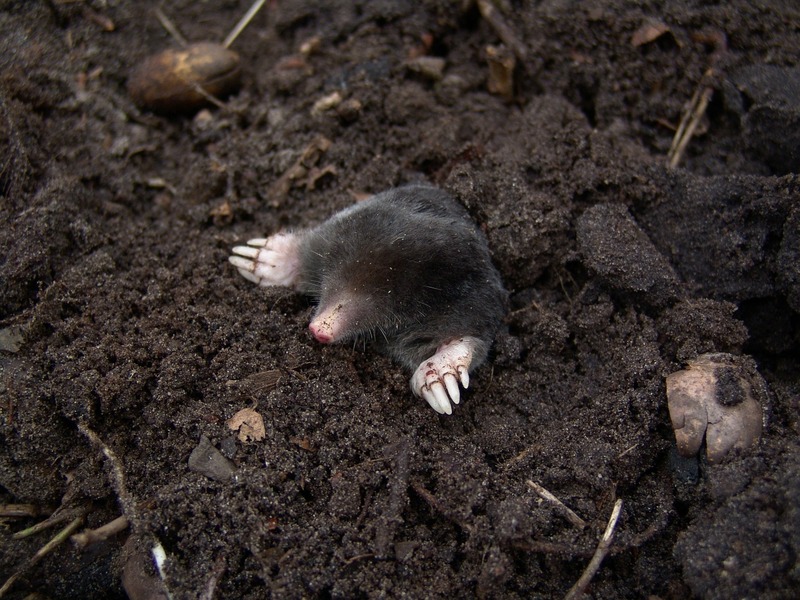 Moles live almost entirely underground in a vast network of interconnecting tunnels. They frequently create shallow tunnels just below the surface where they consume worms, insects, and other invertebrates. 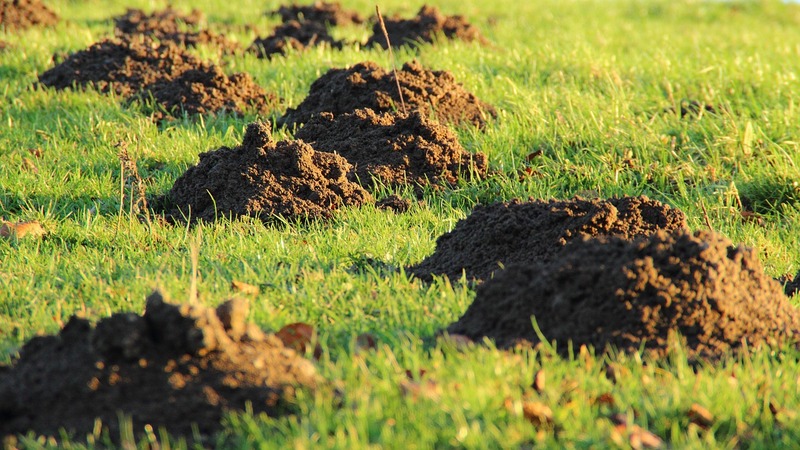 Mounds and surface runways are the most obvious indicators of the presence of moles.